Avène is an unique French Skincare brand that has created a line of skincare for sensitive, intolerant and allergic skins and this serum is simple and soothing. I have been using Avène’s Soothing Hydrating Serum* near enough every morning and evening for just over a week and it has become a welcomed addition to my skincare routine. Serums have high concentration of certain products and are formulated to penetrate deeply into the skin to deliver these key ingredients. In the case of this serum, that key ingredient is Avène Thermal Spring Water which contains a unique active ingredient, renowned by dermatologists for its soothing properties. This serum comes in a lovely frosted glass bottle with a pump, which I really like as it is far more hygienic than a tub. This serum is extremely cooling and soothing on the skin when applied, it is non irritating, reduces redness and leaves my skin soft and plump. I like to apply this serum after cleansing and toning and before moisturising and it gives my moisturiser that much needed boost, leaving my skin far more hydrated, than if I had used the moisturiser alone. It also has a very, very, subtle scent which I really like and a little goes a long way - so dont be put off by the 30ml measure. And don’t over do it otherwise you’ll be left looking greasy! It isn’t as tacky as other serums I have tried and I haven’t broken out since using this product. If you feel your current products are quite doing their job, it might be time to add a serum to your skincare routine and I highly recommend this serum especially if you suffer from dehydrated, sensitive, stressed or irritated skin. This serum is a great alternative to Hydraluron Moisture Booster from Indeed Labs, not only is Avène’s serum far cheaper, I much prefer it! You can buy it online here at Escentual who are currently offering 25% off this serum making it just £12.75 = winner! 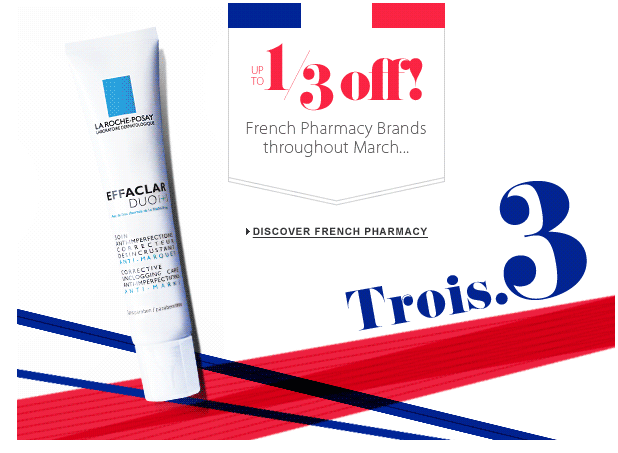 What are your top French skincare picks?